Most books give you information, but some give inspiration. ‘The Nationalist’ by Minhaz Merchant is one such book. It is the story of Anil Naik as he rises from a junior engineer at L&T to becoming its Chairman. The book narrates struggles and successes from the life of one of the most respected business leaders in India. 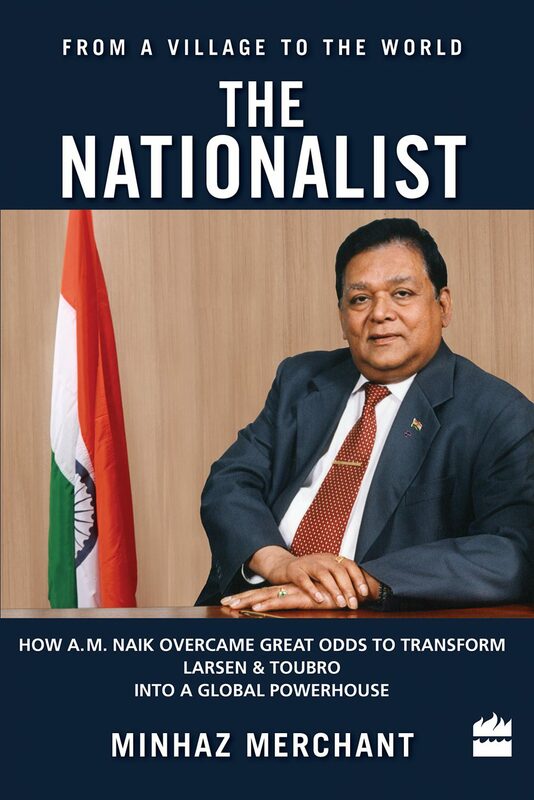 Minhaz has beautifully weaved personal anecdotes from Naik’s life into a story of business, vision, and values. Naik’s story is not ordinary. It showcases how a person’s character of hard work and dedication made him grow to the top of a giant industry. Naik’s personal life would inspire you as much as his business leadership. The book is a must-read for those seeking inspiration to build visionary organizations standing on the foundation of honesty and public good.